World Meteorological Day is observed on March 23rd every year to commemorate enforcement of the Convention establishing the World Meteorological Organization on 23 March 1950. This year it was celebrated with the theme “The Sun, the Earth and the weather”. The Day showcases the essential contribution of National Meteorological and Hydrological Services to the safety and wellbeing of society and is celebrated with activities around the world. On March 23rd, India observed Shaheed Divas or Martyr’s Day as a tribute to the Bhagat Singh, Sukhdev and Rajguru on their death anniversary. Bhagat Singh along with his associates Sukhdev Thapar and Shivaram Rajguru were hanged to death for the killing 21-year-old British police officer John Saunders on March 23rd 1931. January 30 which marks the death anniversary of Mahatma Gandhi is also observed as the Martyrs Day to honour our brave martyrs who have sacrificed their lives for the country. Lalit Kala Akademi has announced the winners of the 15 winners of the 60th Annual Academy Awards. The awardees will be honoured with a plaque, a shawl and prize money of Rs 1 lakh during the 60th National Exhibition of Art. Established in 1954, Lalit Kala Akademi is an autonomous organisation under Ministry of Culture, head quartered in New Delhi. Italy’s Prime Minister Giuseppe Conte signed a memorandum of understanding (MoU) with Chinese President Xi Jinping in Rome, endorsing the global infrastructure-building scheme of China. Italy is the thirteenth European Union country and also the first from Western Europe to join China’s Belt Road Initiative. World Tuberculosis Day is observed on March 24th to commemorate the discovery of TB bacterium by Dr Robert Koch in 1882. This year the day was celebrated with the theme “It’s time”. The day is observed to raise awareness about the devastating consequences of TB and how to end the global epidemic of this lung disease. As part of World Tuberculosis Day, the World Health Organisation (WHO) has initiated “Find. Treat. All. #EndTB”along with Global Fund and Stop TB Partnership. India’s High Commissioner to the UK Ruchi Ghanashyam released the Asian Rich List 2019. The list consists of the 101 wealthiest Asians in Britain and highlights exceptional entrepreneurial achievement over the last 12 months. London-based NRI industrial tycoons, the Hinduja family top the Asian Rich List 2019 for the sixth successive year with an estimated net worth of £25.2 billion. 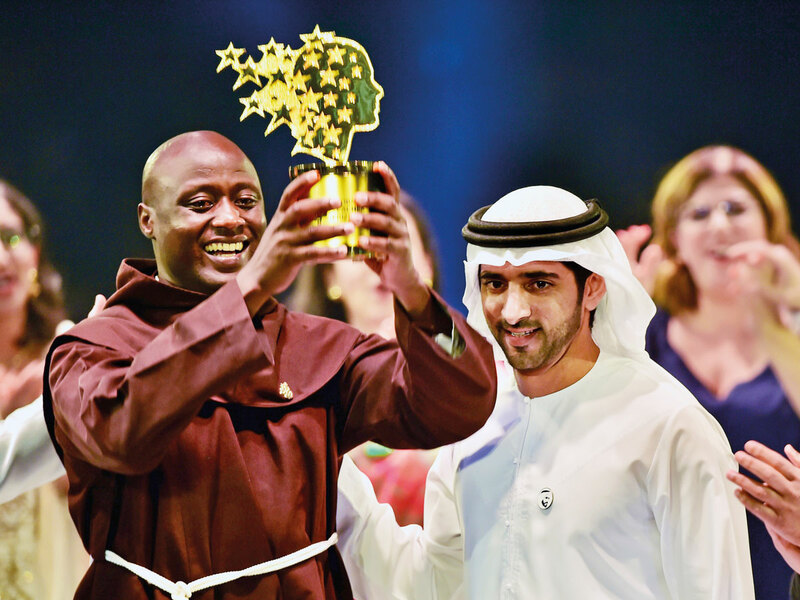 A science teacher from rural Kenya, Peter Tabichi has won the prestigious Global Teacher Prize 2019 which honours the world’s best teacher. He was honoured for his contribution of 80% of his income to help the poorest students at the poorly-equipped and overcrowded school who could not afford uniforms and books. The Global Teacher Prize was constituted in the year 2015 by the Varkey Foundation. 1. On which day World Meteorological Day is observed gLobally? 3. When was Lalit Kala Akademi established? 4. On which day World Tuberculosis Day is observed every year? 5. Who topped the Asian Rich List 2019? 6. When was the Global Teacher Prize constituted?